I’m in love with this fresh, light, and colorful salad. I don’t cook with fish or shellfish too often, but this dish makes me want to change that PRONTO. In a medium skillet, heat oil over medium-high heat until hot. Add shrimp and flip when first side is done. The shrimp will curl and turn pink when done. (don’t over cook! Turn off heat a couple minutes after you flip). Place shrimp in a bowl and chill. 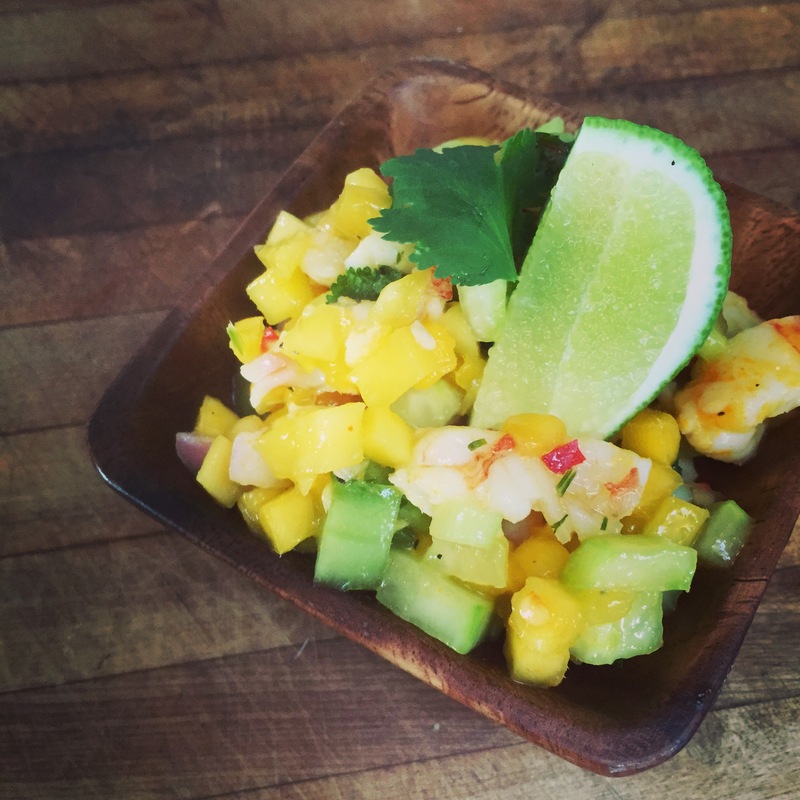 In a bowl, add diced mango, onion, cilantro, cucumber, lime juice, and jalapeño. Once shrimp is cool, chop small and add to the bowl. Toss with salt and red pepper to taste. YUM this looks like it should rightfully be eaten on a beach in the sunshine. Thanks for sharing! What a great idea! It’s a bit rainy here in San Diego today but a beach picnic should be scheduled ASAP!